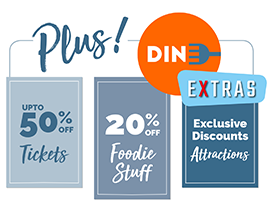 Dine is a new diners club, with thousands of restaurants offering Members awesome savings every time they dine out. Members receive these discounts by simply showing their Dine Card or app at participating restaurants. What offers are available to Dine Members? 25% off the total bill, including drinks! How can I get my Dine discount? What kind of savings can I expect each time I use my Card? It depends how many people are in your group but on average the savings are around £15-£20 per visit. Will I get a discount if I’m on my own? Yes, if you are redeeming the 25% off total bill (including drinks) or 50% off the total food bill offer or if you're feeling really hungry, order 2 main courses and the second one will be free. Can more than one Dine Membership be used per meal / booking? Sorry, only one Dine Membership can be used per visit. If we have more diners in our party than the maximum stated will we still receive the discounts? The maximum number of diners stated applies. Restaurants are under no obligation to accept your Membership or provide a discount if the number is exceeded. Do the Dine offers apply to takeaways? Sorry, unfortunately the discount does not apply to takeaways unless stated in the restaurant listing. 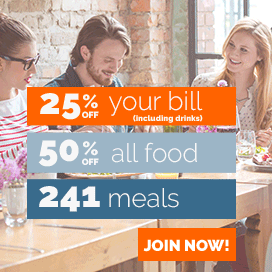 Can I use my Dine Membership 7 days a week? Sure! A large proportion of our restaurants offer Dine discounts 7 days a week. Although some restaurants have individual restrictions around weekends, public holidays and special calendar celebrations, so best check the individual restaurant details on the site or via our app before booking. Please note: Restaurants have the ability to exclude Friday / Saturday nights, the month of December, Bank Holidays and other specific celebration days. How long will it take for my Membership to arrive? Digital Memberships can be set up quickly by downloading our app, once you have received your confirmation email. Dine Cards, via standard UK delivery, take between 3-5 working days. Dine Members can update their details by contacting the Customer Support Team on 01273 668831 or emailing enquiries@dineclub.co.uk (9am – 7pm, Mon-Fri). What happens if I lose my Dine Card? If you lose your Dine Card, we can replace it for you but an admin fee of £10 would apply. Our Customer Support Team can assist, arranging payment and a replacement Card. 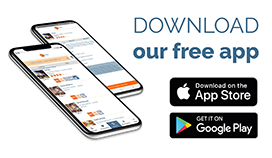 Remember, if you do lose your Card you can download our app for free and continue using your digital Membership Card. No, Memberships are not transferable. Sorry, free trials are limited to one per household. Can I use the Dine mobile app? The Dine mobile app is available for iPhone (iOS 8 and above) and Android (5.0 and above). If you do not wish to renew your Membership you should contact us on 01273 668831 or email enquiries@dineclub.co.uk (Mon-Thur 9am-7pm and Fri 9am -5.30pm) at any point during your 12 month Membership but no later than 3 days prior to your renewal date. Please refer to Dine’s Terms and Conditions of Membership for full details. Any changes will always be communicated in your renewal reminder email, alternatively you can contact us via telephone to discuss your renewal price. The cancellation requirement does remain the same.